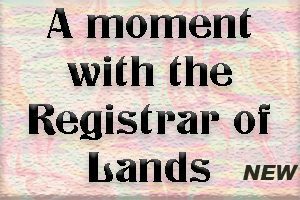 It wasn’t long after the exodus of evacuees from the south of Montserrat, the result of volcanic tragic activity, still continuing, economically and otherwise, that it became obvious that the event that finally took place on Thursday, January 16, 2014, occurred. That event was the dedication of a public cemetery at Lookout, occupying what some complained, perhaps blindly, as a prime hotel site. One response is that the only difference, is that hotel is somewhere people stay temporarily, so this area is perfect for all who even before they die are desirous of having a permanent spot in Montserrat. This was considered to be a well said statement in light of the Montserrat recent experiences. He continued to outline, “…our way of life from a cultural and social prospective can be determined, hence this holistic approach is what you are seeing here today, what you are experiencing in terms of what you are seeing now, is the creative genius of many actors. 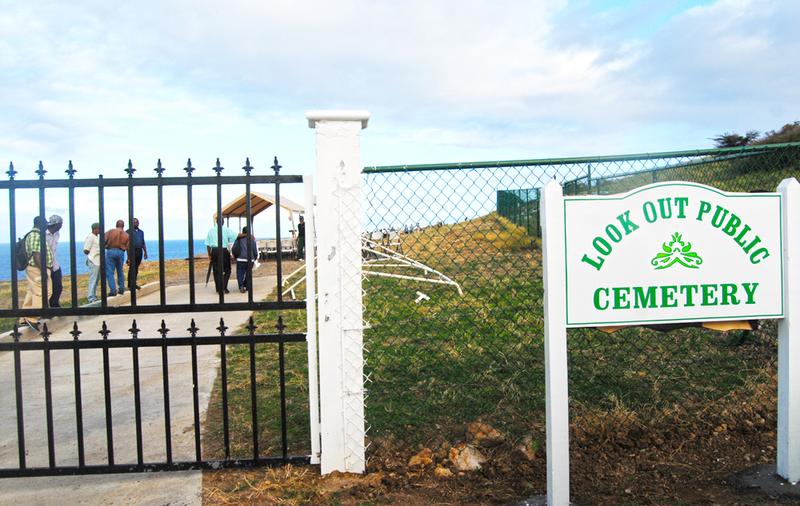 A temporary public cemetery had been created in Salem south of the Anglican church, now fully occupied, hence the need to move to the Lookout cemetery almost immediately. The cemetery reportedly will allow for the traditional dug graves; and it also includes sixty concrete crypts. He said he thinks it was time, and he hoped, “the questions will shift from ones in which we are doubting, whether or not it will happen to the questions about its maintenance and upkeep, because I want this space here to affect property values positively, so it has to be now about the maintenance, the standards we set…” the Minister suggested. Hon. 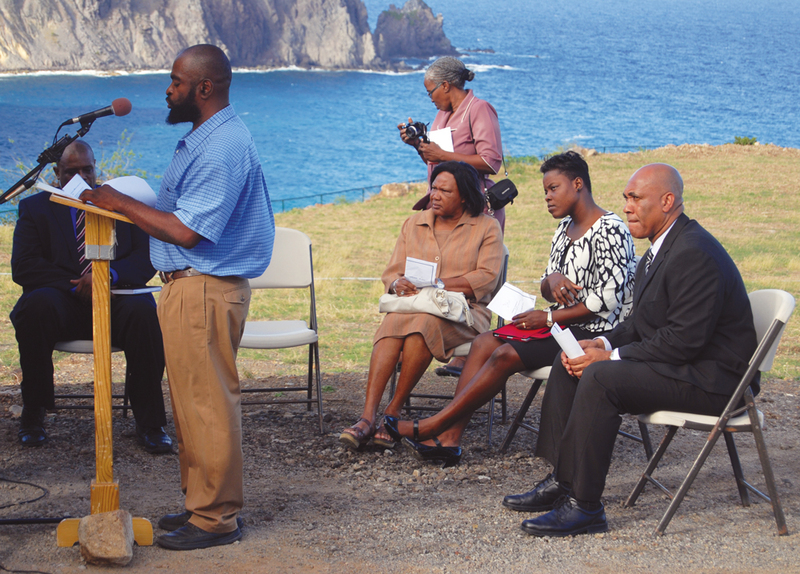 Victor James expressed appreciation on behalf of the people in the north and welcomed the long awaited cemetery which he said had been in the making for over fourteen (14) years during which burial space had been depleted. Then the ceremony moved the consecration and dedication phase. The Scripture readings were by Pastor Jack Riley, of Emanuel Apostolic Faith, St John; followed by the consecration by Fr. Carlisle Vyphius, of the Anglican Community also performing on behalf of the Christian Council as he carried out the consecration rites of the dedication of the cemetery. Dr. Beatrice Ruth Allen, Pastor, Beulah Wesleyan Holiness Church offered the concluding prayers which were followed by a vote of thanks delivered by the Permanent Secretary in the Ministry of Health, Elijah Silcott. A tour of the site preceded light refreshments to end the dedication of the new public cemetery.